Horizon Lighting Systems is a Cleveland, OH based company providing lighting design, installation and ongoing maintenance to landscape and outdoor lighting for the north coast. Committed to serving our clients with timeless designs, superior installation and prompt service for years to come, we are Cleveland's premier source for outdoor lighting design and service. Litescapes Outdoor Lighting provides design and installation service of low voltage architectural and landscape lighting systems. Most outdoor lighting contractors will likely fall into one or two categories: 1. A national franchise or 2. A lawn sprinkler company. Litescapes is different since outdoor lighting is our only focus. As the owner, I am involved in every installation project. 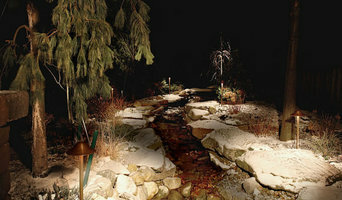 With over 30 years experience in all facets of landscape/construction and how they relate to outdoor lighting systems. We aren't burdened by constraints of a national franchise or burdened by distractions of a contractor whose focus extends beyond lighting. 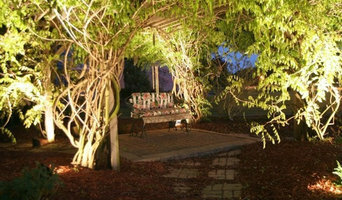 Litescapes is outdoor lighting with a single passion serving Northeast Ohio. Our program begins with a complimentary review of your property. 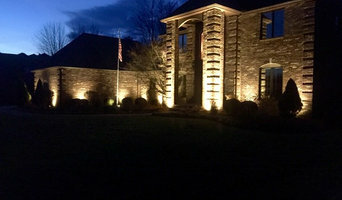 Throughout the process, our landscape lighting professionals will work directly with you to highlight and define the beauty of your property through our lighting techniques. We may utilize well lights, stake spots, deck lights, or path lights until the desired outcome is achieved. A NiteLights of Cleveland architectural landscape lighting installation will dramatically enhance your home and landscaped areas. We use low voltage lighting systems that are very energy efficient and cost surprisingly less than your traditional high voltage systems. The final result is a precise arrangement of low voltage lights that will highlight the beauty of your home's architecture, landscaping, patios, decks, or water features. What services do Parma Heights outdoor audio and visual system professionals provide? Home theaters are moving outdoors, too. Sports fans can grill without missing the game, and families can invite neighborhood friends over for movie nights. Special weatherized flat-screen TVs are coated to minimize glare. Imagine your Parma Heights, OH backyard with a custom-designed outdoor theater system — complete with a large projection screen. It makes backyard entertaining easy. Find outdoor audio and visual system professionals on Houzz. Look in Houzz’s Professionals section to find Parma Heights, OH outdoor audio and visual system experts. Narrow your search to the nearest city or metro area for a list of nearby businesses. Get contact information, read reviews and look at completed Ohio custom outdoor sound system projects.